In 1995, with very little funding and the vision of building a company that has a sustainable business model in the field of Information Technology offering solutions to customers to enable them to be more productive, Ashu laid the foundation of H&H Technologies Pvt. Ltd. (Formerly H&H Marketing Pvt. Ltd.). Under his leadership, besides winning various Awards and Recognition H&H has today risen to be Rs 30 Crore company. He has been nominated as member on the Partner Advisory Board of Hewlett Packard Asia Pte. Ltd. representing India at APJ regional level. Ashu is a Strategist and entrepreneur with extensive work experience in the area of Information Technology. H&H’s philosophy is to create value for customers with Information Technology being an enabler. He personally takes keen interest in developing teams and looking after various operations of the organization on regular basis. The quality consciousness of the organization is reflected by ISO 9001:2008 - For Quality Management Systems, certification. He enjoys working in teams, collaborating with cross functional teams like sales, services and administration across locations and has been immensely successful in building sustainable sales and services model in his region. He has proved to be quite instrumental in expanding the business of H&H in Himachal Pradesh. Vipin has been a catalyst in making H&H a trusted Solutions Partner for its customers. With his rich experience in the industry and affluent technical skills, he has smoothened the Service operations and advanced the organization to the next level. Vipin has a vast experience of over 10 years with a proven track record in the IT industry. He manages the service delivery portfolio and heads the support team of H&H Technologies. He is skilled in motivating and leading a team of young professionals to achieve group objectives. Vipin is a graduate from Punjab University, Chandigarh and is a certified Hardware and Networking Professional. Sanjay has been longest serving employee and very well versed with all the operations of organisation ensuring excellent customer experience. With his rich experience in the industry and efficent administrative skills including Purchase, Logistics, General Administration, Accounting etc. he has taken the organization to the next level. Sanjay has a vast experience of over 15 years with a proven track record in the IT industry. He manages the operations portfolio and heads the operations team at H&H Technologies. He is skilled in motivating and leading a team of young professionals to achieve group objectives. Sanjay started his career with H&H Technologies as administrative Ececutive and he continues to grow and inspire others with his impeccable work ethics and dedication. 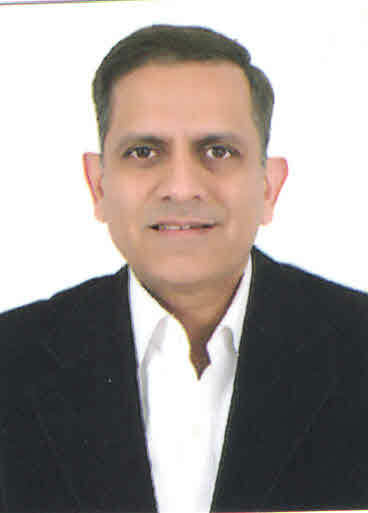 Sanjay is a commerce graduate from Himcahl University, Shimla.